Begin by blending the almond beverage, vanilla extract, unsweetened cacao powder, and sweetener in a blender until the ingredients are well mixed. In a separate bowl, combine the blended mixture and chia seeds. Let the bowl of the mixture sit and allow the chia seeds to be moistened and expand. Stir every 15 minutes to make sure there are no chunks and let it sit for about an hour. 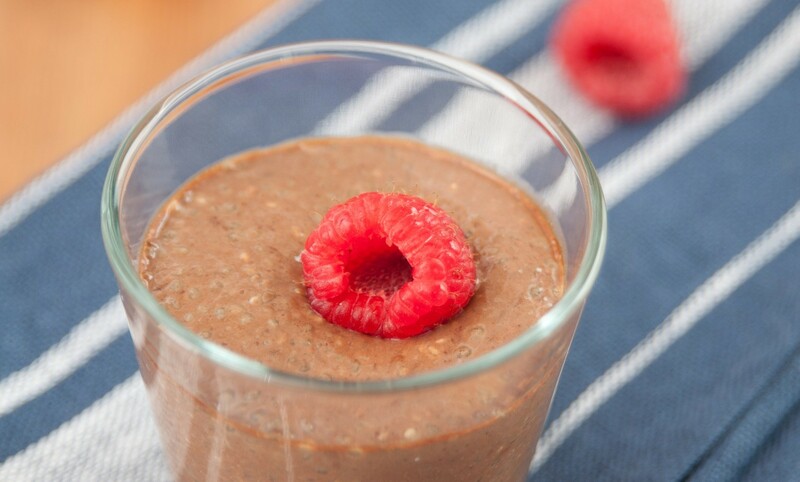 Then place the chia pudding in the refrigerator and serve with raspberries once chilled.